For only the next four weeks, this program gives Brookwood Christian access to incredible hotel deals around the world, at a 50% discount! The best part? 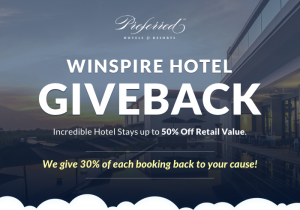 Winspire gives 30% back to us! 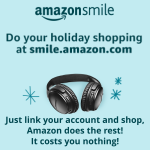 For every dollar one of our families or friends spend on the giveback site, Winspire will be giving $0.30 back to Brookwood Christian. Just make sure whoever you share this with tells us they want to support ❤️BROOKWOOD CHRISTIAN LANGUAGE SCHOOL❤️ at checkout, and later this year and they will send us a check for 30% of their booking. The more supporters you tell, the bigger the check will be! Last year Winspire sent over $20,000 in Giveback checks to organizations around the country – and this year they plan on breaking that record. There are over 90 gorgeous domestic & international hotels available at highly discounted rates. Share this family and friends and have them give us a call at (877) 544-8576 to book their room. Hotels are first-come, first-served until the end of this month, so it’s important to act fast. Please note: Trips must be taken before June 30, 2019. But it’s only October, so you’ve still got plenty of time to plan some fun this year.